Using iTunes to transfer music to iPhone on Mac can be a huge pain. Not only can you not transfer songs easily one at a time, but most of the time you’ll have trouble transferring songs that you didn’t officially purchase. What’s more, it will erase the existing music on your iPhone while syncing. Here are some ways to transfer music iPhone without iTunes Mac free. 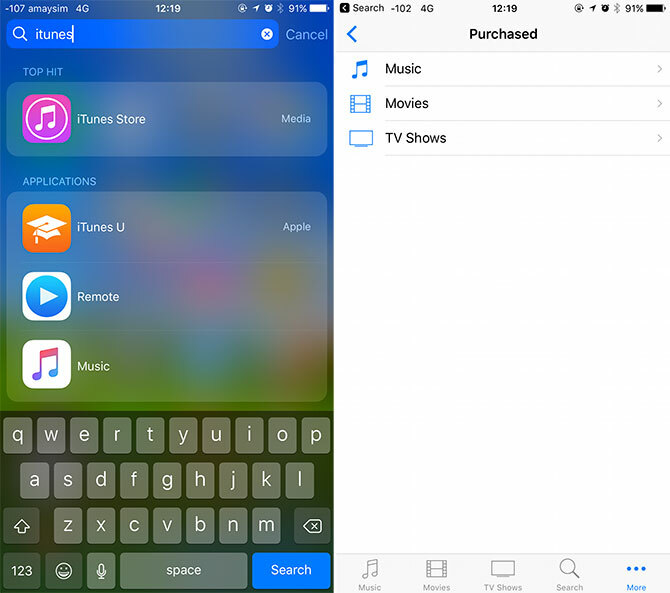 One of the best iTunes alternatives out there is iMyFone TunesMate iPhone Transfer. Have it, you can easily transfer music from Mac to iPhone without iTunes. Transfer is directly done without having to fiddle with iTunes and the iTunes library. What’s more, it can break through all of iTune’s limits. Sync iTunes library to iPhone without covering the existing library on iPhone. Extract music from iPhone to computer, iTunes or external hard drive, including purchases and non-purchases. Support to transfer music to the same iPhone from various computers/iTunes libraries without data loss. Highly commended by lots of famed media, including Geekreply, tricksworldzz.com, and 50+ more. Step 1: Have your Mac installed iMyFone TunesMate and open it. Plug in your iPhone with a cable. Tap the Music tab from the upper menu on TunesMate. Step 2: Click Add button and then Add File or Add Folder. It will pop up a window that allows you to locate your music on Mac. 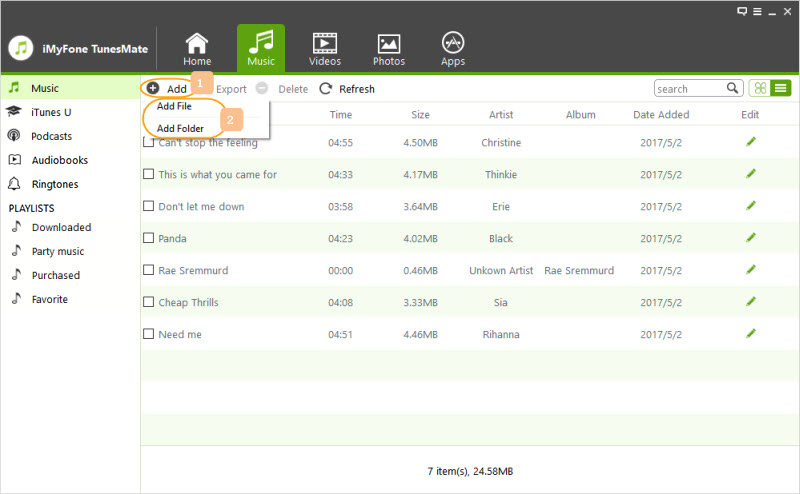 Step 3: Browse and choose the music you want to transfer. Then click Open and it will start transferring the selected songs to your iPhone. 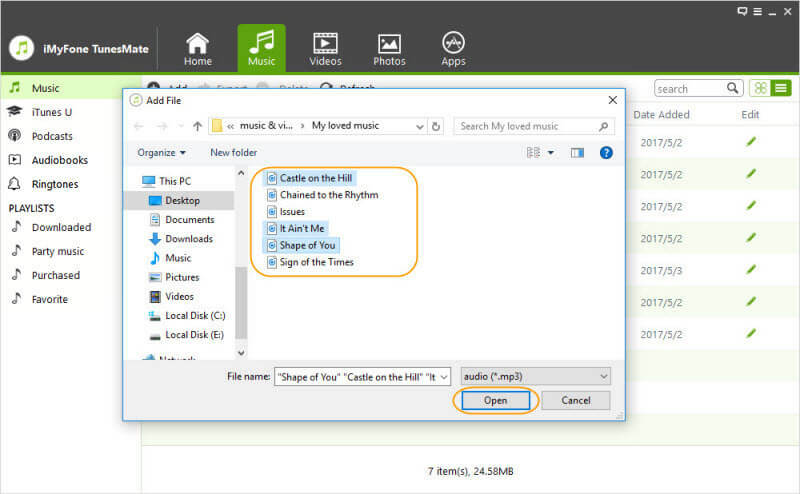 Note: If you want to transfer some specific songs in a folder, you can choose “Add File”. If you want to transfer all songs in the same folder, choose “Add Folder”. TunesMate has a built-in converter that your music will be automatically converted to a format supported by iPhone/iPod/iPad, so don’t worry. It supports all music formats. Or you can directly drag and drop the music files to your iPhone using TunesMate. Just open “Music” window of TunesMate and open your music folder, select songs and drop them directly to TunesMate window. TunesMate does a lot more when it comes to your music, too. You can delete and back up your songs, add music to the iTunes library itself without using iTunes at all. You can manage your playlists, as well as edit music ID3 tags and more. In short, TunesMate does what iTunes can do, but iTunes cannot do all what TunesMate can do. Perfect for: iPhone users who have bought music from iTunes store. It’s the official iTunes app designated by Apple. You can download all of your purchased music here. How-to-Transfer: Just go to the iTunes app on iPhone, then tap More > Purchased > Music, and you can download music you’ve previously bought by clicking the cloud icon beside each song. Only transfer iTunes purchases, but not transfer purchases from other stores and files downloaded for free. Perfect for: People who want to pay just a monthly fee to listen and download as much as they can. There are a few different streaming services that you can use, such as Spotify and SoundCloud. You can listen as much as you want and only pay a small amount. You can also listen to your music anywhere, on most of your devices. How-to-Transfer: It depends on what service you use, but generally, you can just open the app, go to your purchases, and download or listen from there. If the service is entirely cloud based, then you will just be streaming instead of downloading. You have to pay. If you download music for free from somewhere else, of course these won’t show up on the cloud with the service, so you can’t transfer music from Mac to iPhone without iTunes unless you actually bought it on the streaming service. Perfect for: People who just want a simple way to organize and transfer their media files, with no DRM or complications. This is a really simple method because you can download and organize your media files and play them with the same app. 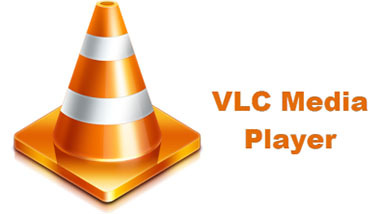 An example of this would be VLC. You don’t have to deal with authorization and it’s free. How-to-Transfer: You can transfer the files through Wi-Fi or FTP with a lot of these local media players. It's very manually and time-consuming. Though it is simple, it’s just not as easy and elegant as using something like, say, TunesMate. You can't move the videos or movies to Videos app on iPhone. Perfect for: People who want to share music from Mac to iPhone, have much free iPhone space and stable Wi-Fi connection. Cloud services let you upload and download files from anywhere, including Google Play Music, Amazon music, Dropbox, etc. How-to-Transfer: The exact steps are different depending on the service, but the principle is the same. You simply upload your music from your Mac to the cloud using the service, and then you download it to your iPhone using the service’s iOS app. There are a lot of steps. Instead of transferring directly from your Mac to your iPhone, you are transferring from your Mac, to the Cloud, to your iPhone, so it can take longer. You need to install an extra third-party app on your iPhone. 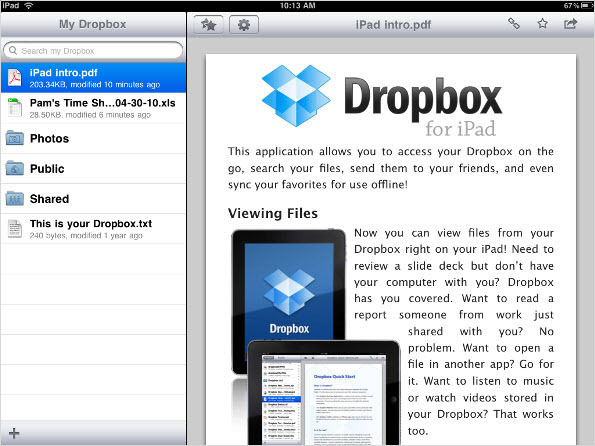 You need to open Dropbox app to access the downloaded videos. Above are the five recommended ways to transfer music from Mac to iPhone without iTunes. Give it a try and enjoy your music anywhere.